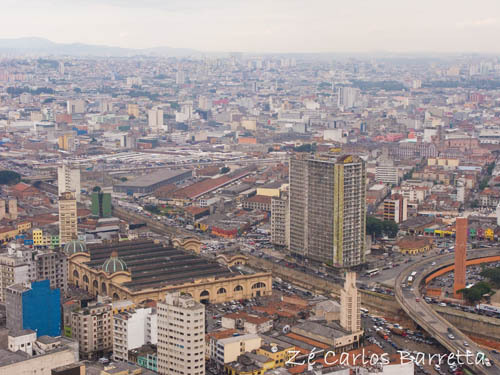 One of the largest metropoles today is the city Sao Paulo in Brazil. From a poor village, it became one of the greatest cities ever built that is the home of more than 20 million people. When Brazil became an independent country, many buildings were erected, and people from different ethnic groups came to live in the area. Today it is best known for its magnificent museums with many rare items, the best restaurants, and cinemas, which attract a vast number of visitors. The construction in the city is a constant process. New structures pop up in a very short time and in order to make space for the many old buildings are being demolished or reconstructed. One of the modern buildings from the 20th century which was reconstructed is the famous São Vito. 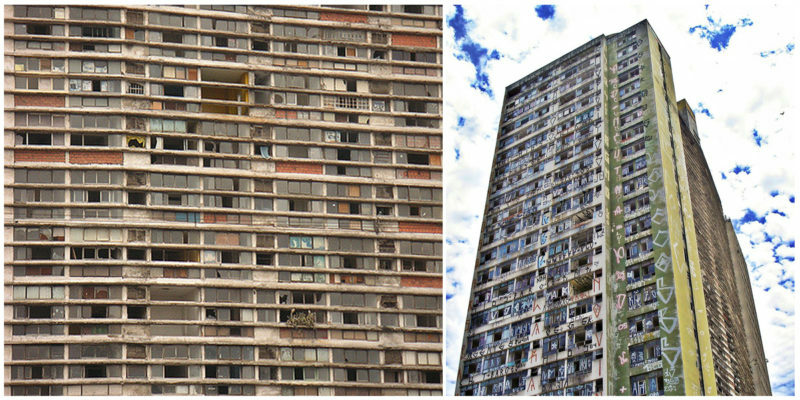 Constructed in 1959, São Vito was a residential structure built as a solution for the many immigrants who moved into the city. 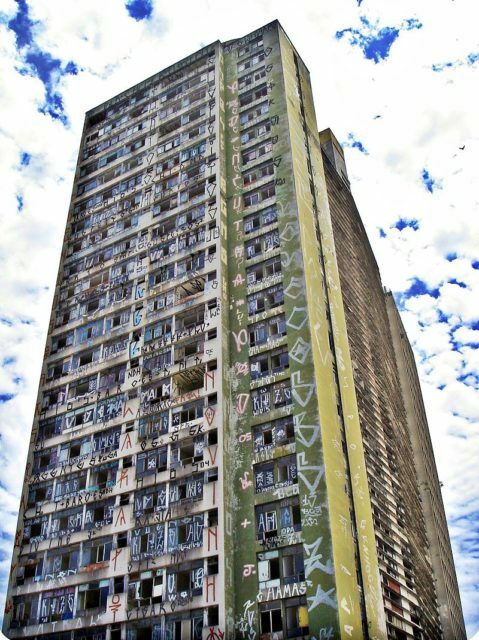 It had 27 stories and over the period of 20 years, it was inhabited by more than 3,000 people. The ground floors were filled with stores and there was an amazing auditorium on the roof where famous artists performed various shows. Many architects say that the building was a failure of a project because it was not easy for the tenants to maintain it. Because of a large number of inhabitants, the apartments were split with walls so that more people could move in and it became very crowded inside. It was also not safe in a case of fire which makes it extremely dangerous and another added complication was that it was situated in a bad neighborhood. For all of these reasons, as well as problems with the water supply and waste disposal, many of the inhabitants left their homes and by 2004 the building was completely abandoned. 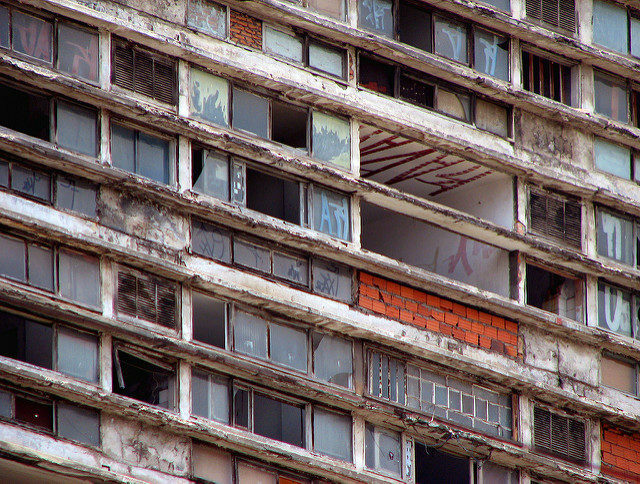 After 2004 when the building remained empty, many squatters began to move into the apartments. The interior and the facade slowly began to decay and it was no longer safe for living. Because of the high levels of crime around it, no one even considered doing a reconstruction. Plans for a renovation project had been started in 2002 with the aim to convert it into rental apartments. 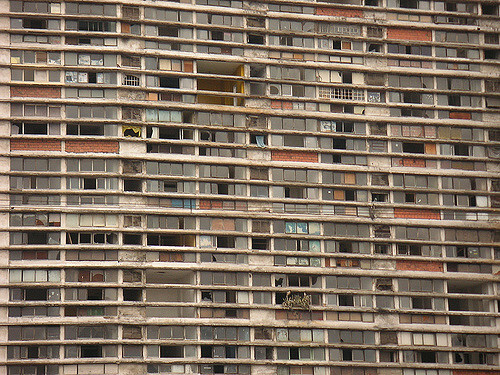 Many of the previous tenants who still owned flats in São Vito gathered in meetings where it was explained to them the situation with the building and why it would be better if they agree, after the renovation, to rent their apartments to low-income inhabitants who can afford to live there. Clearing the area of criminals and reducing crime rates is certainly one of the reasons why it was decided the building needed to undergo rehabilitation. The architects chosen for the project were Helena Saia and Roberto Loeb. However, the project was unsuccessful due to the high costs of making the building habitable and safe. 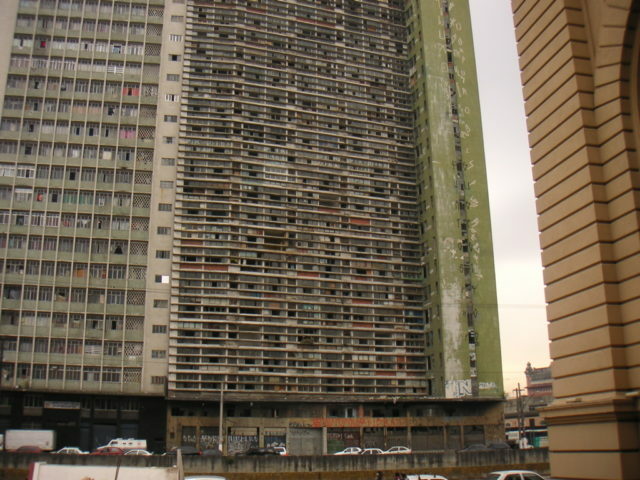 São Vito was put up for demolition together with the adjacent Mercury building. 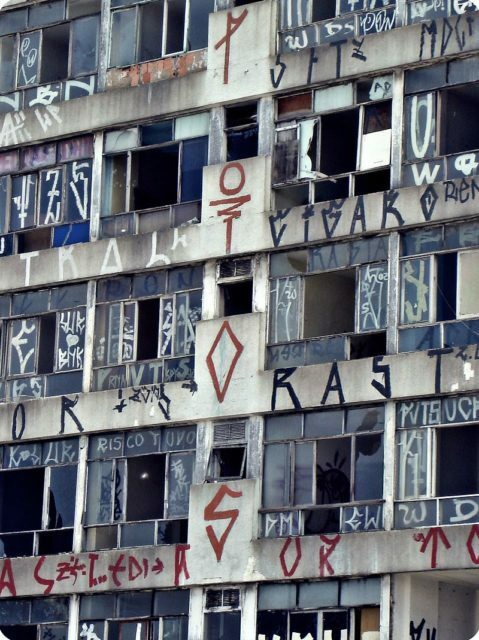 Before the demolition in 2011, many photographs were taken of São Vito in which we can see the decayed façade covered with graffiti and the broken windows. It became a giant slum and the locals started to call it “Theme-Theme” or in translation, “Shiver-Shiver”. The nickname was given due to the unstable structure and the eerie appearance. The apartments inside were most visited by drug addicts and bums. Abandoned and unprotected, the building had to be torn down. After 2014, another plan has been developed to turn the site into a square and joined up with the Park Dom Pedro II.